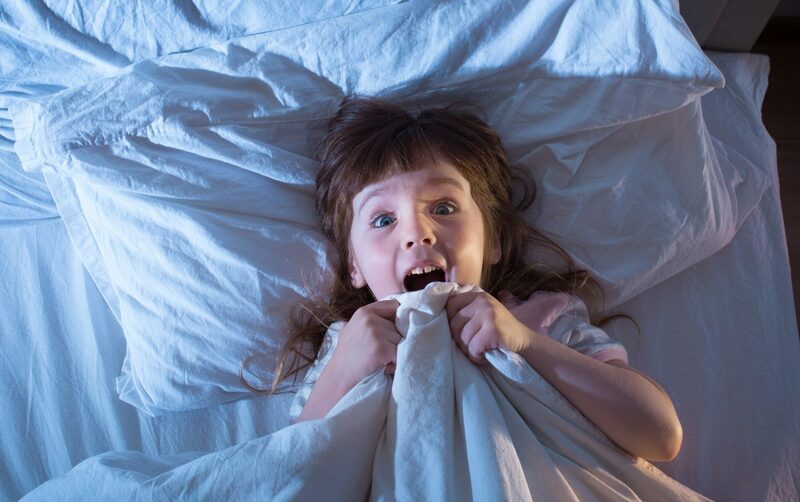 Can Night Terrors Get in the Way of Your Child’s Slumber? If you have witnessed your child thrash around the room screaming or crying in the dead of night, you’ve most likely been terrified to your core. In the situation like this, parents—in addition to being frightened—may also be confused, since they don’t usually know how to act on it. Is it okay to wake the kid up and comfort them? Or just leave them alone until the moment passes? Moreover, can it be a cover-up for some serious condition? These are not the out-of-place questions – in order to know how to react, first you need to understand what you are dealing with. Is it a nightmare or a night terror? Because the two need to be approached very differently. You probably know what a nightmare is. But what are night terrors? And how are the two different? Well, for starters, night terrors are part of a big and flourishing parasomnia family. Other types of parasomnias include sleepwalking, teeth grinding, sleep hallucinations, sleep paralysis. So, first things first. In a nutshell, parasomnias are unpredictable and unusual sleep behaviors that implicate irregular movements, abnormal behaviors and expression of emotions. They may happen immediately after falling asleep, during sleep or minutes before waking-up. The unusual behaviors happen because the regular transition between the sleep stages becomes disrupted, as we no longer travel between stages in an orderly fashion, but rather crash the gates of certain sleep stages ahead of time. They are paired with other common types of parasomnia, such as sleepwalking and hallucinations. They go like this: little ones get really upset, frightened, they may sit up straight with their eyes open or jump out of bed and run around the room talking and crying. To put it simply, it means that a person’s very bad dream carries over into their reality. When we’re dreaming, our body gets temporary paralyzed. In this case, however, muscles of the child are perfectly functional. That’s why your kid may bounce around the room appearing fully awake and nothing seems to console them. Because, well, they’re not fully awake. The good news is that it lasts for only about 5 minutes or less, although it can feel a lot longer. The best thing you can do, as an onlooker, is stay calm and try not to wake the sleeping person up. Because if you do, you can scare him or her even more and prolong the episode. Also, stop yourself from mentioning the event at breakfast. Otherwise you’ll make your kid scared of sleeping. And although such behavior may be distressing and even frightening to a parent, more often than not it’s not a cause for concern. When the event is over the child usually goes back to sleep and has no recollection of it the morning after. Normally, such nighttime wakings occur in children between ages 5 and 12 leaving no trace when they’ve passed the age of 13. As it was mentioned earlier, this disorder is more common for children, and is less frequently seen in adults. Only around two percent of grown-ups can have sleep terrors and—just like children—may not even remember them. It usually runs in the family. It means that if a member of his or her immediate family used to have or has this condition, a person is likely to have it, too. And now for the question you’ve been meaning to ask: what is the difference between night terrors and nightmares? To a random onlooker these two may seem like one and the same thing, but it's not how it is. While a bad dream or a nightmare is a projection of our mind triggered by some negative emotion (like fear, anxiety, stress, sadness), a night terror is a state of partial wakefulness amidst a person’s transition between dreams and reality. Nightmares can scare an unwitting sleeper who will usually wake up afterwards with a profound memory of a bad dream they had. During a night terror a person is still sleeping. After he or she is finally awake, they usually have no memory of the event or the experienced emotions. When we’re watching any dream--be it a bad or a good one--our brain temporarily shuts off the muscles denying us the opportunity to act at the events inside our dreams. Nightmares may awaken a person from lifelike dreams that entail an uneasy feeling of horror and despair. And it may take them few seconds to realize they are no longer sleeping. For the sake of comparison, night terrors are partial arousals from sleep. It means that a person opens his or her eyes ahead of time, thus breaking the boundaries between sleep and reality. They continue having a really bad nightmare while only partially sleeping. They are totally unaware that what their mind’s projecting is not real. Children may act at their dreams by kicking objects, pushing people, screaming and crying with their eyes wide open. Yes, family history can have a hand in this condition, but sometimes it can be simply related to anxiety and other emotions you or your child are experiencing. That’s why it really helps to understand the roots of the problem and the things that might be bothering you or your kid. Learning most basic things about night terrors can prepare you for such uneasy nighttime episodes. If you see, however, that these events happen repeatedly, as well as you have a hunch that it can be related to a particular traumatic event, talk to your GP about getting a referral to a psychologist or a sleep specialist.